This piece was written in the week before the Golden Globe Nominations were announced. The announcement of the Globes hasn’t changed my handicapping of the Oscars at all. The Golden Globes are not the Oscars and have been known to do some weird things (Pia Zadora anyone?). The Globes tend to be more populist in their choices than the Oscars. Besides other than the first two years of the Golden Globe Animation Award (2007 and 2008) when there were only 3 nominees for both awards the Globes have never matched exactly with the Oscars-with the GKids titles knocking out Globe nominees. 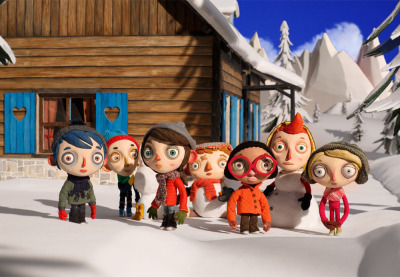 In fact while GKids has garnered eight Oscar noms in the last 6 years there were no Golden Globes noms- MY LIFE AS A ZUCCHINI is the first GKids release ever to get a Golden Globe nomination. Additionally after it was written MY LIFE AS A ZUCCHINI made the Oscar Foreign Language Film Short List with the result additional comments have been added. Most people don’t seriously care about the animated Oscar race. I do. And I'm in the minority of people who love animation of all sorts not just the big budget stuff from Disney, Pixar, Fox and Ghibli. Honestly most people I know see the Animated Oscar as what is the best kids film of the year. It seems that if an “adult” sees an animated film and likes it it’s the exception and not the rule. Most adults don’t see animation as something they want to see more often than not the classify it as either juvenile Disney/Pixar or Japanese insanity. The result is that so many full-fledged film fans are missing out on some extraordinary films (full stop) Most people don't see that there are many filmmakers today are simply turning out some the most incredible stories, but using pen and in or pixels to tell their stories. There are exceptions of course, some people are noticing and the tide is slowly turning and the legions of animation fans is growing, but for most people animation is still a considered a kids genre and the award something for kids films. At the same time back in 1991 when BEAUTY AND THE BEAST got a Best Picture nomination the universe changed. The Academy, the knuckleheads that they frequently are realized that some animated films deserve to be at the big boy table. Of course that lasted a short period of time and in 2001 the Animated Feature award was created effectively short circuiting the notion that any animated film would ever get the respect of live action features- because after all they had their own award now. While I could continue to jump up and down and scream MORONS! at the Oscars and most film writers (As I last did in this piece last March) I’ll just take heart in knowing that since the Academy created an Oscar for animation the number of features hitting theater screens has gone up from a hand full to several dozen. It’s a glorious thing, because we are now getting some wonderful films in local cinemas and not just on home video. And the visibility for good animation is even higher when you realize most big festivals that are now running great animated films every year. The best part is that because of the festivals and some smaller releasing companies we are getting animation that is prodding Oscar to notice wider varieties of films. While many companies release an occasional film the two companies outside of Disney/Pixar that are releasing highly regarded animated films with clockwork regularity are Funimation and GKids. Both companies are doing fantastic work and both are part of the real reason for the growing acceptance of animation and the growing number of animated films flooding into the market. Funimation is releasing the best non-Studio Ghibli Asian films to the US. 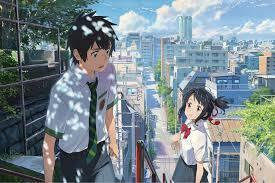 While primarily a home video distributor they are do release films to theaters on a limited basis including this year’s Oscar hopeful YOUR NAME by Makoto Shinkai. Funimation has been around for decades and they cut their teeth on the vast anime market. I have dozens if not hundreds of their releases in my collection and I can’t say enough about how they opened my eyes to what was possible with the art form. While Funimation is primarily focused on Japanese animation GKids just wants to release good films never mind where they are from. GKids is a splinter from The New York International Children’s Film Festival. A 20 year old New York institution NYICFF has been bringing the best films from around the world to New York audiences, many of which they now end up being released through GKids. NYICFF is a festival that works miracles and gets films that no one else can. Need proof that they have run Miyazaki shorts from the Ghibli Museum that the studio insisted would never play outside the museum. The only other time it has ever happened in New York was as a fund raiser in the wake of the 311 disaster. WIth a reputation among filmmakers and governing bodies it's not surprising that NYICFF started to release films themselves. 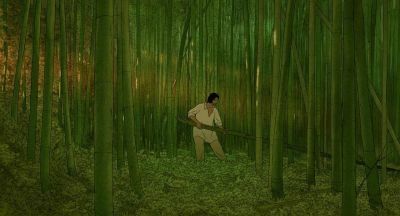 The film releasing arm, GKids, has grown over the last few years to the point where they are releasing some of the best animated films from around the world. Not only are they the people keeping the Ghibli films in theaters they are releasing films that getting animated Oscar noms by the boatful. 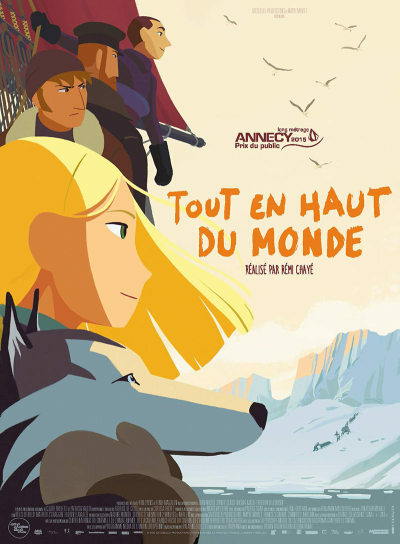 Last year they had two films nominated for an Oscar,BOY AND THE WORLD and WHEN MARNIE WAS THERE which join previous nominees BOOK OF KELLS, CAT IN PARIS, CHICO AND RITA, ERNEST AND CELESTINE, PRINCESS KAGUYA and SONG OF THE SEA. The fact that they are getting films outside of the Disney/Pixar mix seen by more people is changing the way some people are seeing animation. I’ve been told by a couple of film writers that they look to see what GKids releases to know what’s good outside of the Hollywood box. With five animated films on the Oscar hopeful list you can be damn sure that at least one or more of the films is going to be from GKids - more so since the company's MY LIFE AS A ZUCCHINI survived the short listing process for Foreign Language films to beat out many bigger name and highly hyped films to move to the next stage, meaning GKids may have a nominee in two categories this year. And what of this year’s animated Oscar race? There are 27 films competing to make the cut and I’ve seen most of them. For the most part the animated features this year have all been pretty good. There are enough films that I think probably half of of the films have some sort of shot at getting a nomination. There is only one film that I think has no chance what so ever of getting a nomination. In order to make the Animated Oscar race into something that will mean something to you here are my takes on each of the films. Where we have reviewed the film I've provided a link to the review. (with 25 APRIL the link goes to the trailer). 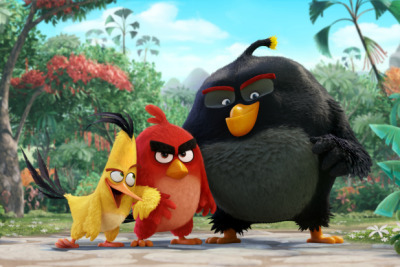 “The Angry Birds Movie” - Pigs invade the world of birds and war results. Video game based film isn't bad with some very funny bits. The trouble is from a visual stand point its one of the oddest films ever made. All of the action is framed to be dead center of the frame watching the film on Netflix I actually stopped watching the film for the story but started to just watch how artificially constructed the film was. I enjoyed chunks of the film, but to be honest the film over all doesn't work enough to be seriously in contention for an Oscar. 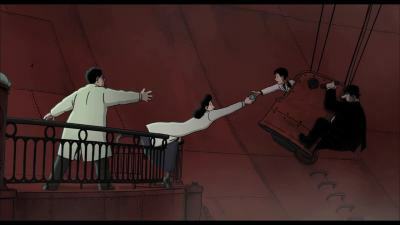 “April and the Extraordinary World”- extraordinary animated film that plays like a graphic novel come to life. Its a beautifully realized world of the sort few filmmakers ever create. It a film that plays better a second (and third) time as you can go with the story and not worry about the details. This has a shot at making the final cut. 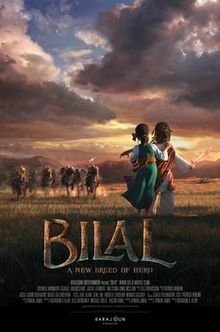 “Bilal” fact based adventure film about a kidnapped warrior fighting back against oppression. I have not managed to see the film yet. The trailer makes the film look okay, with the script probably outshining the visuals which are serviceable. “Finding Dory” ill advised sequel to FINDING NEMO has Dory suddenly remembering her parents and dragging Nemo and Marlin across the ocean to find them. Receiving largely positive, though not rave reviews there were also a lot of naysayers who found the short term memory gags borderline or out right offensive. For me the biggest problem with the film was the repetitive nature of the jokes as a few gags are repeated to the point where it stopped being funny. 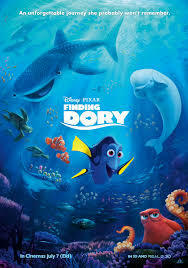 While I liked many of the new characters, I lost any feelings for Dory as her one note schtick became shrill. I have a lot of problems, not the least of which is that where in Nemo all the creatures were nominally anthropomorphic characters, here some, such as the squid or otters, are not for reason I can figure out. I don't really think the film has much of an Oscar chance outside of the film being produced by Pixar. 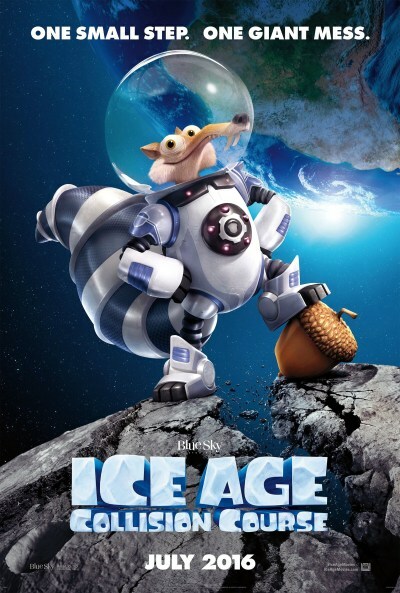 “Ice Age: Collision Course” I have yet to see it. I'm not in any rush, I doubt this has any real Oscar chance especially since the best thing I've heard about it was that it was a grab bag of good gags that didn't fit in the other films- which results in a film with no story. No one I know who saw it was all that positive on it. 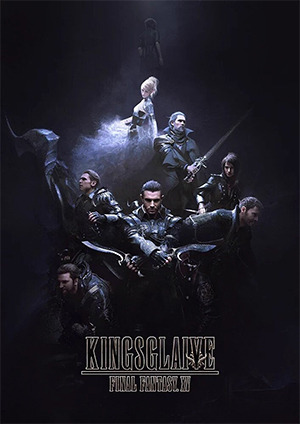 “Kingsglaive Final Fantasy XV” Tie into a recently released home video game is one of a growing number of films from Japan made to be features for the non-game players. I have not seen the film yet but Joe Bendel has (the link is to his review) and while he calls it probably the truest cinematic adaption of a video game, it has problems because its coming from a game. While he liked the film it is almost a certainty that Oscar will be going nowhere near it. 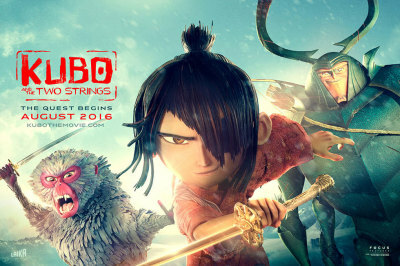 “Kubo and the Two Strings” I know people who were left sobbing messes by the film. 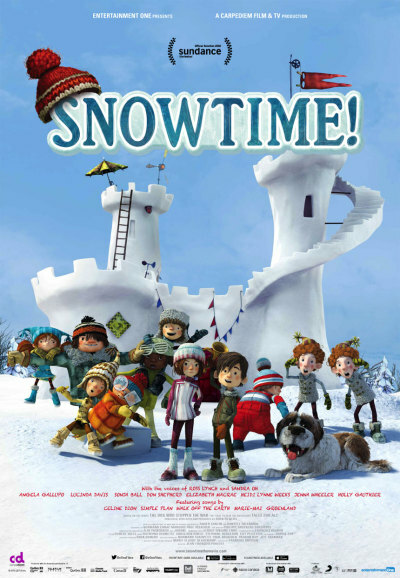 I was impressed by the animation but had all sorts of trouble with the story which really didn't work for me (with much of the story much too obvious). 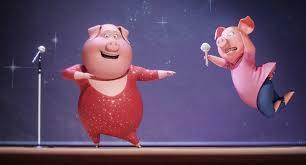 Then again I'm not a fan of Laika the studio that produced it. I'll be running a review and examination of the studio just after New Year. As for it's Oscar chances the film is almost certain to get an Oscar nomination and the love and awards it has found in some quarters make it one of the front runners for the award. 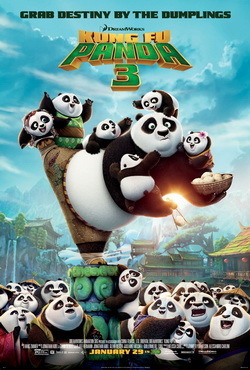 “Kung Fu Panda 3” I've seen this in pieces thanks to home video and meeting up with friends and family while they were watching it. Its moving and touching with some great set pieces, but it's more of the same and I doubt Oscar will go to the well with a third nomination for the series. 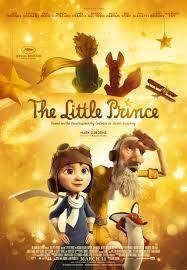 “The Little Prince” Mark Osborne's film is a brilliant expansion of the classic novel. The adults I know who have clicked with it have been deeply moved. This is one of my most favorite films of 2016. I expect this to get an Oscar nomination because it is so damn good. If it isn't nominated then I'm guessing that the film was released by Netflix with only a token release worked against it. 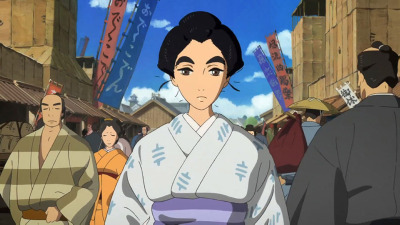 “Miss Hokusai” The story of the artist daughter of the man who painted the painting The Wave, is a beautiful film about creation and art. I know several people in love with the film. I think this is just outside the Oscar nominated films- but close enough to possibly make it in to the final 5. “Moana” Disney's Thanksgiving film made a mint the first three weeks of release by remaining the number one box office draw. As this piece goes up I have yet to see the film (I'm waiting to see if I can go with my 6 year old niece). My spies have all been positive to varying degrees on the film so I think the film has a shot at a nomination - but only if one of the films I think has a lock (see below) gets bumped off the list. That is a possibility, less because of quality rather simply because the film is a current release and is making a enough money to be news worthy. 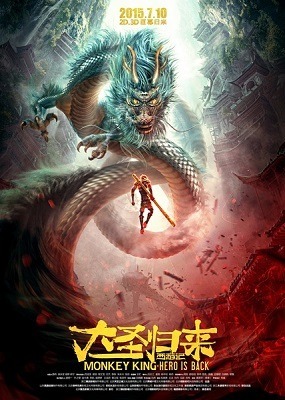 “Monkey King: Hero Is Back” Jackie Chan does the lead voice. The film, ariff on the Monkey King story is great deal of fun. It's not the be all and end all but it manages to be entertaining from start to finish. It doesn't stand a chance Oscar-wise-on the other hand who the heck really cares because on it's own terms it's really entertaining. 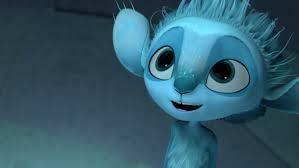 “Mune” I originally saw this film last year at the New York International Children's Film Festival. It has some of the most spectacular images ever put on screen the film with giant beasts literally dragging the sun and moon across the sky. The trouble was there was something about the story (of a dark lord manipulating the guardians of sun and moon for his own end) that didn't sit well with me. With the film in the running for an Oscar I arranged to get a second look at the film and I was surprised to find the film is much better than I previously thought. Looking at the film with fresh eyes, and not in the crush of festival screenings, I found that much of the film plays better than I first thought. I realized that any reservations I had were due to the English voice cast which is trying much too hard. The second time through it wasn't a problem and I enjoyed the hell out of the film. Definitely one to bring the kids to, As for the Oscar race I don't expect it to end up nominated since while it's enjoyable, it's not as strong as some of the other films. 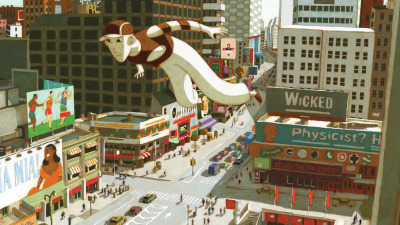 “Phantom Boy” great detective adventure about a sick young man who can leave his body and fly around unseen. Probably not as good as the directors earlier Oscar nominated CAT IN PARIS but a great deal of fun. Its so enjoyable that I think this has a good shot at an Oscar nom. “The Red Turtle” A masterpiece of cinema. I was moved beyond words by it. If you want an absolute certain nomination this is it. Films and filmmaking do not get much better than this. “Sausage Party” rude crude and funny if you are so inclined, this tale of food discovering what their purpose in life is enjoyable fluff. If you want to know its Oscar chances all you need do is ask yourself if you ever thought something like the PORKYS films could ever get nominated. 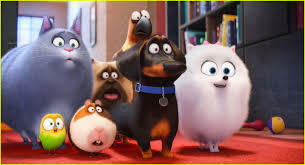 “The Secret Life of Pets” is an amusing film about the secret life and how a bunch of pet friends in New York band together to find two of their own. A TV sitcom on the big screen this works best as a collection of funny bits rather than an 80 minute movie. While the film set a record as the first non sequel to open with an over 100 million dollar weekend, I don't honestly think the film hangs together enough to warrant an Oscar nomination. This isn't to degrade the film rather to point out this is more a collection of jokes wrapped in a well worn and over used sitcom frame work. However because it made money and because it is frequently fall down funny this may end up with a real shot at Oscar, but only if one of the locks turns out not to be. “Sing” This has not been released yet- look for it next weekend. While the trailers and commercials have delighted, word from the film festivals it's played has been mixed. I've been told there are super moments and some not so super ones. Personally I'm looking forward to seeing it but I doubt it will get any Oscar love outside of one for any original songs it may contain. 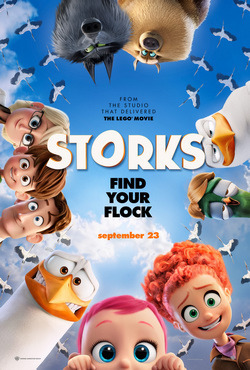 “Storks” I have not seen this film, but I've heard it's good from pretty much everyone I know who saw it during it's brief theatrical run. That said while no one hated it, no one raved which mean an Oscar nomination isn't even a remote possibilities. 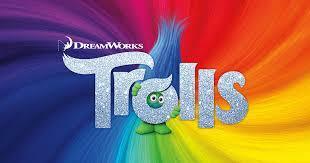 “Trolls” I was hoping to see this with my niece but it didn't happen. Half the people I know thought it was one of the best animated films of the year and the other half thought it was the worst. Oscar won't take up the fight and they will completely ignore it unless it gets a music nomination. 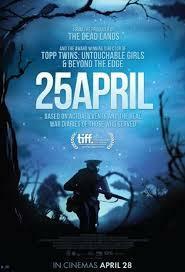 “25 April” Documentary from New Zealand about the Battle of Gallipoli. It looks wonderful...but its non fiction nature is going to keep it out of the running. “Your Name.” From Makoto Shinkai who directed two of my favorite films (VOICES FROM A DISTANT STAR and 5 CENTIMETERS A SECOND) and winner of numerous awards this is almost certain to be an Oscar nominee. I've not had a chance to see it but based on word of mouth- on line friends are insisting the film is a real deal- I'm going to this has a great shot at the gold statue. 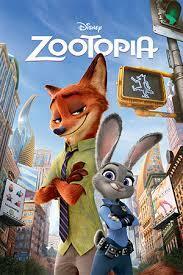 “Zootopia” I will be shocked if the film doesn't get an Oscar nom, This life in an all animal world is excellent and may be the best of the big studio animated films this year. I wish it didn't look like many other Disney films because its so unDisney like that it should stand on it's own. It maybe one of the best animated films from Disney- but I need to see it again when I can see it for itself and not a potential Oscar nominee. Those are my thoughts. Do I honestly think I'm going to be on target come January? I think I'll be close. I suspect that I'll have picked four of the five with one of the nominees being one being something unexpected. Here in list form is how I think the Oscar nominees will shake out. Check back after the nominees are announced January 24 to see how I did. still need to see The Little Prince!